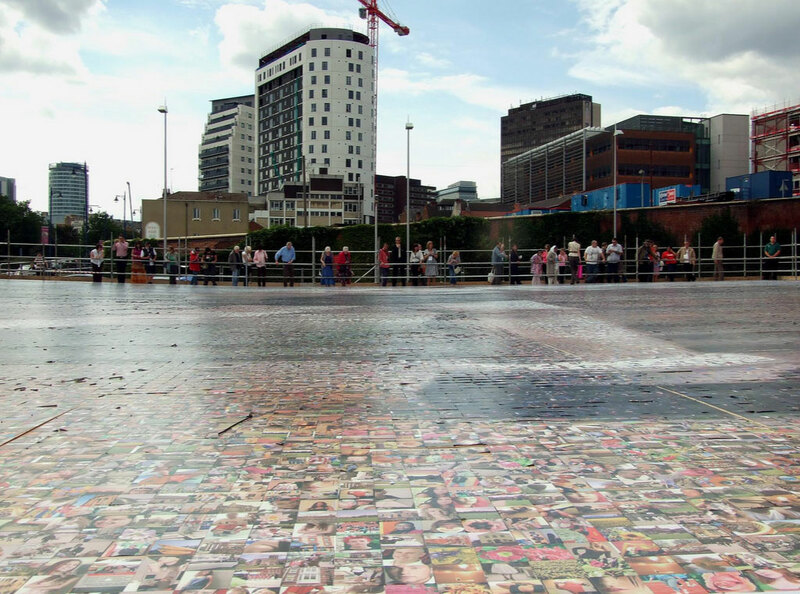 The Big Picture was a record breaking art project supported by Arts Council England West Midlands and the BBC, was developed and delivered by Audiences Central. 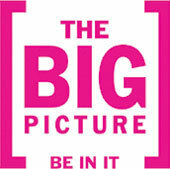 The Big Picture was kindly sponsored by Jessops and Linford. 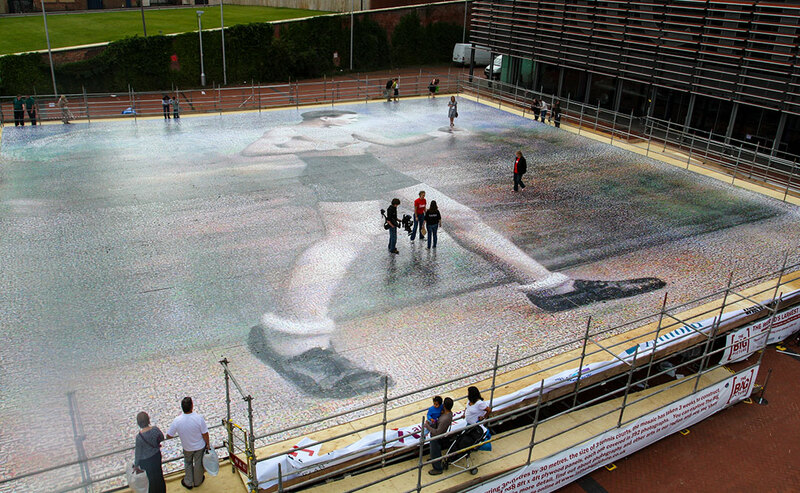 The record-breaking work of art included 112,896 photos, and measured 857.3m2, the size of three tennis courts. 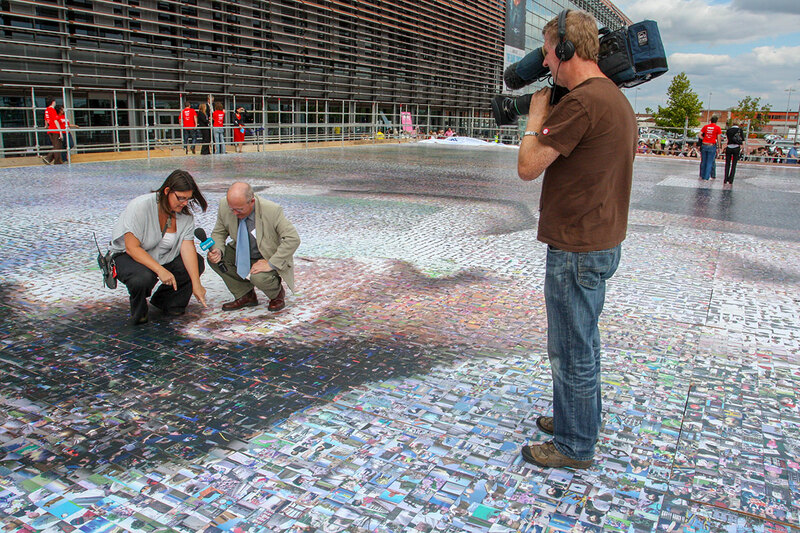 It was unveiled outside Thinktank, Birmingham Science Museum at Millennium Point. 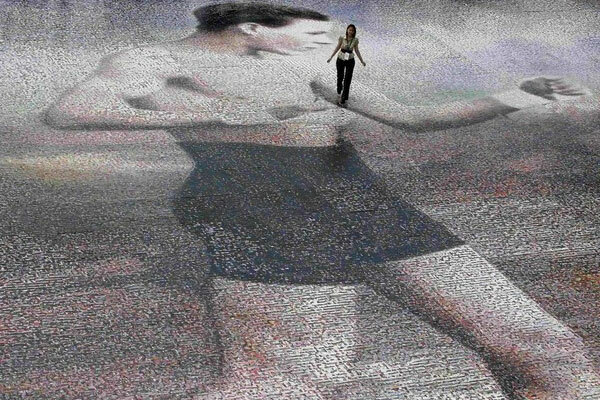 The image selected from the thousands of submission was a vintage image of a Boxer. Eight photographs, taken by people from Birmingham, the Black Country, Shropshire, Stoke-on-Trent, and Warwickshire, were shortlisted to be picked as the top photograph from the total of 112,896 entries. 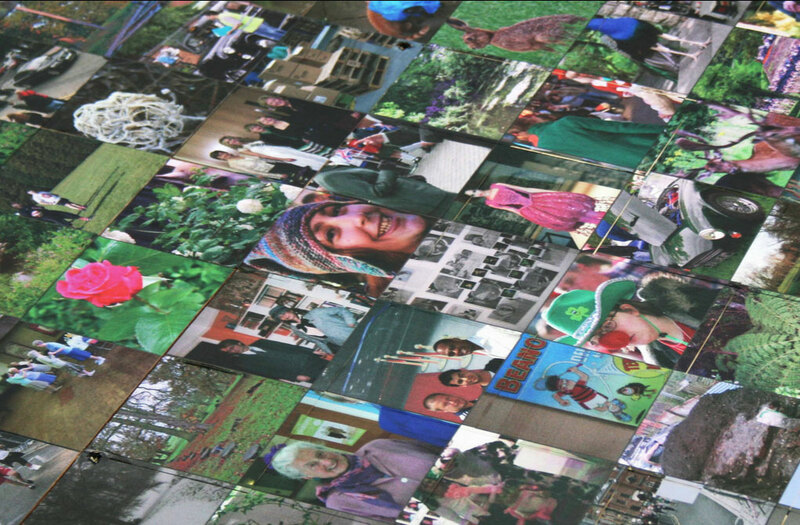 People from all over the region took part in The Big Picture project, and for many, it has changed the way they think about photography and the arts. 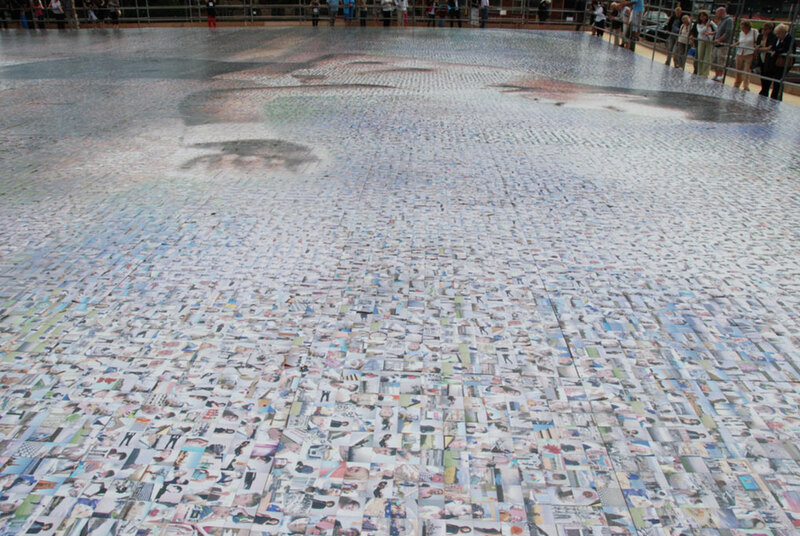 Here are some of the stories from just a few of the thousands of people who participated in the project. 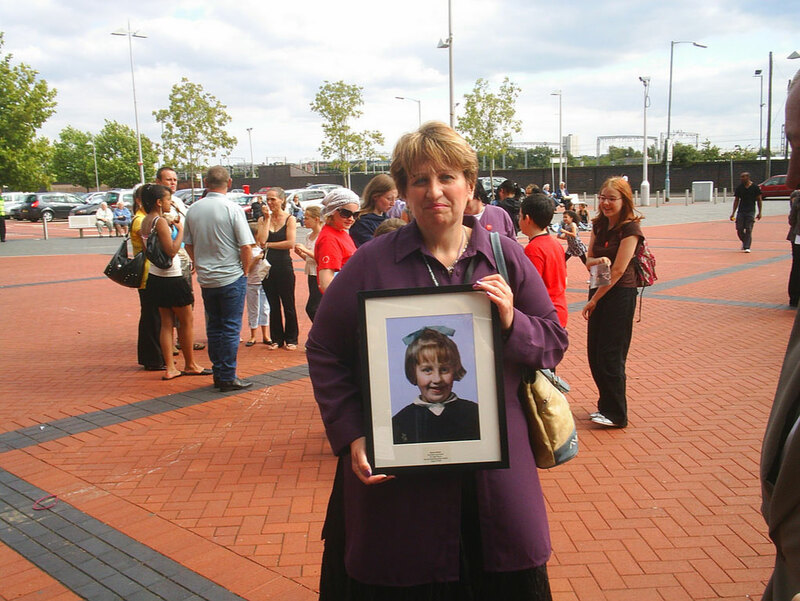 The stories have been compiled by Fiona Handscomb, Freelance Writer. 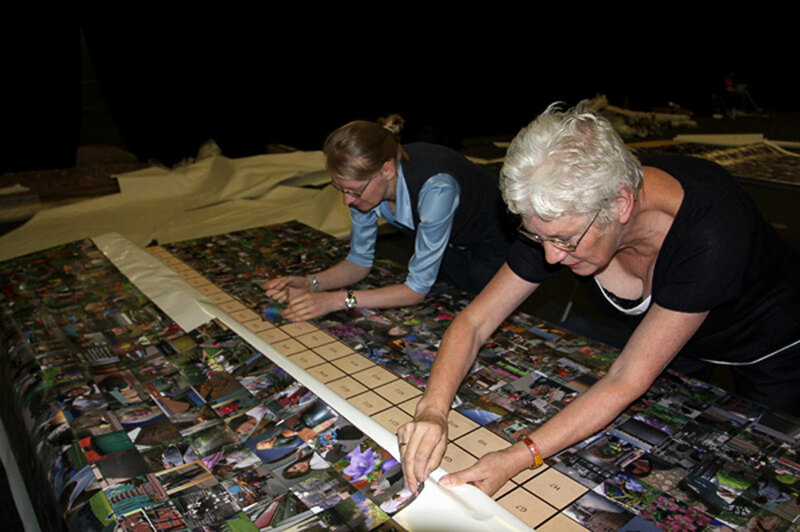 Eight photos were shortlisted to become the final image of The Big Picture. The eight photos were selected for their unique boldness, fascinating stories, and their suitability to be reproduced into the huge scale work of art. 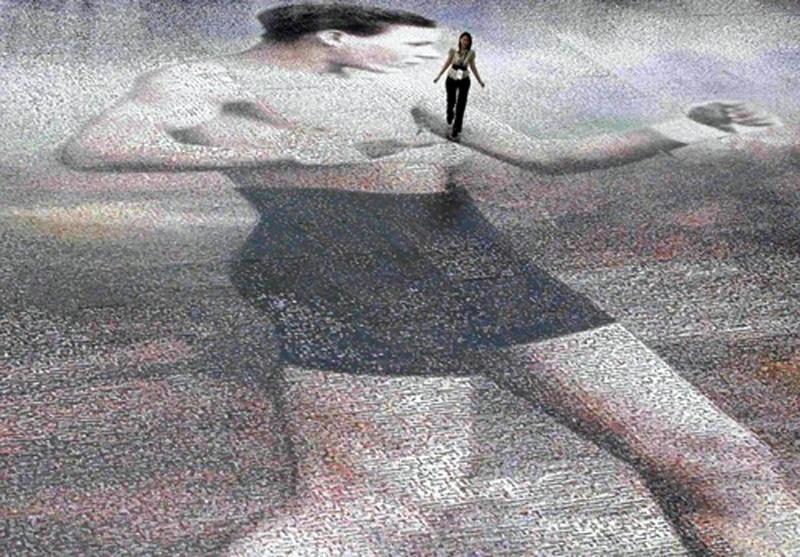 Lucy Moore’s image of her grandad was the winning photo. 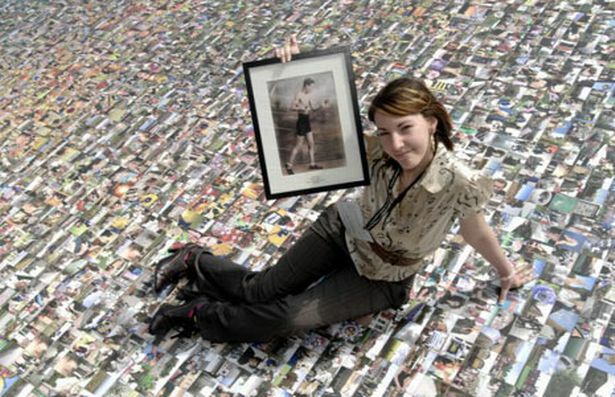 Lucy Moore, 17 from Tipton submitted a portrait of her grandfather to the Big Picture. 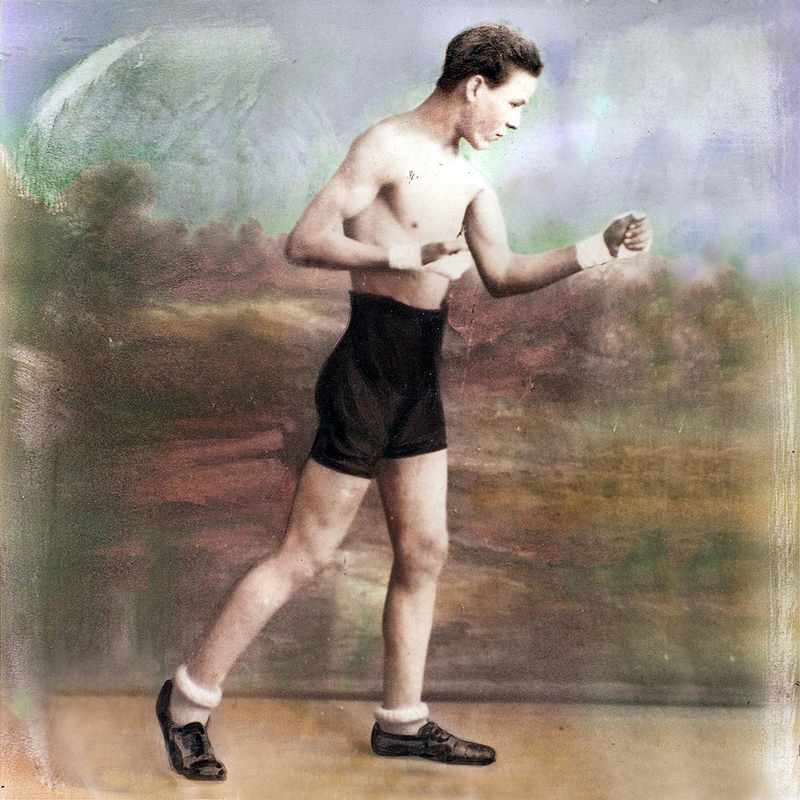 The photo was taken in 1926 and is a portrait of Arthur James Bunce at the age of 17 when he was an amateur boxer. Arthur, who had fourteen children, died in 1987 at the age of 78, but the photo has continued to be an inspiration to Lucy and her family. I didn’t get to meet my Grandad, but the picture is cherished by all of us and my brother, Michael, even has it tattooed across his back. My grandparents were very much at the centre of our family. Since my Nan died a couple of years ago it’s caused the family to drift apart as some of us have moved further away. 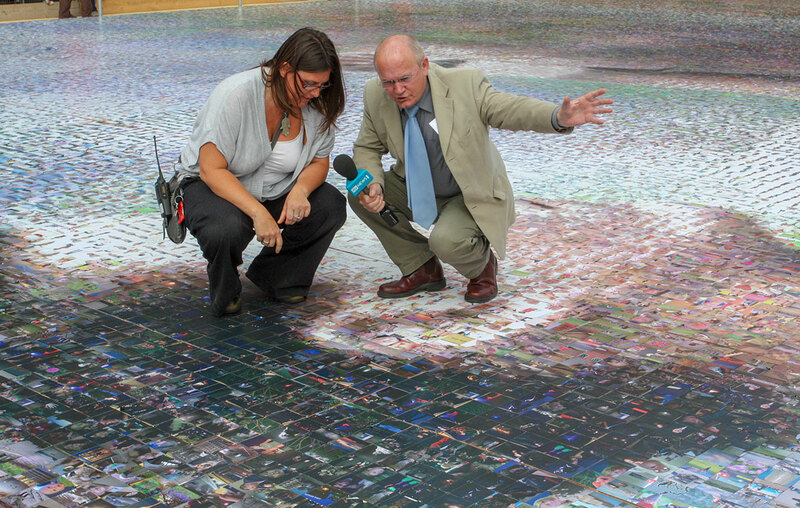 I hope that if the photo does become the face of The Big Picture it will help to bring us closer together again. We were proud to be the sponsors of such a large project that celebrated people’s relationship with photography in such an innovative way. 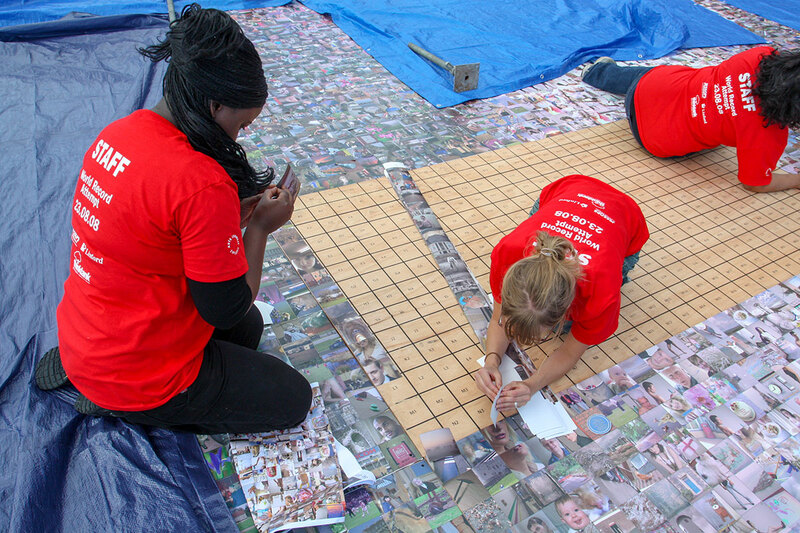 Thousands of people from across the West Midlands are joint-world record holders, after taking part in an ambitious arts project to create the largest photo mosaic in the world. 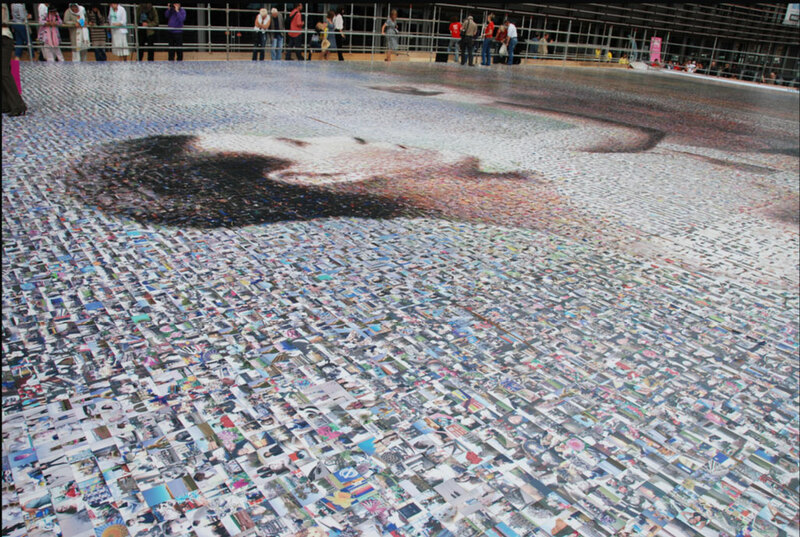 Every single one of these funny, touching, bold and beautiful photographs were then used to create the worlds largest photo mosaic – making everyone who submitted a photo a joint world-record holder.